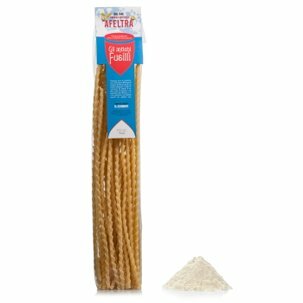 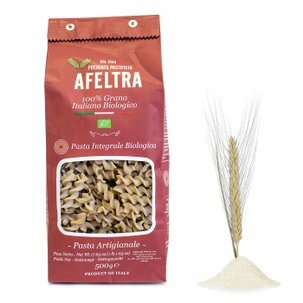 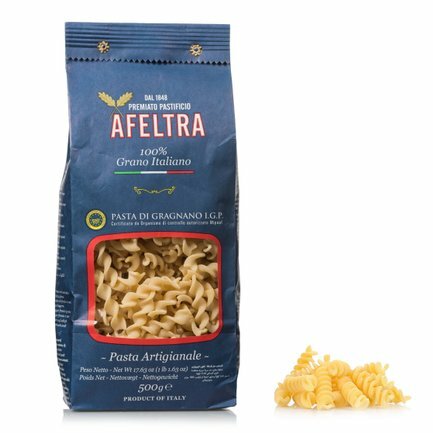 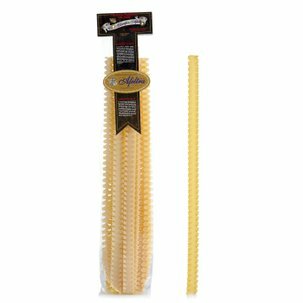 The tortiglioni from Afeltra, are made with carefully selected wheat semolina originating from 100% Italian wheat that is mixed with water from the Lattari Mountains, extruded through bronze dies and slowly dried for up to 48 hours. 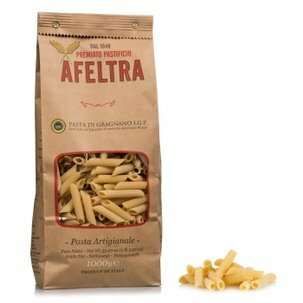 With a shape similar to maccherone, the tortiglioni can be served with flavourful meat or vegetable sauces. 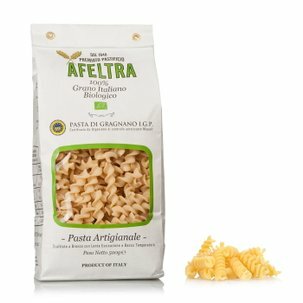 They them cooked al dente and flavoured with a pesto of courgettes and speck, or for a cold weather version, with pumpkin cream and taleggio.